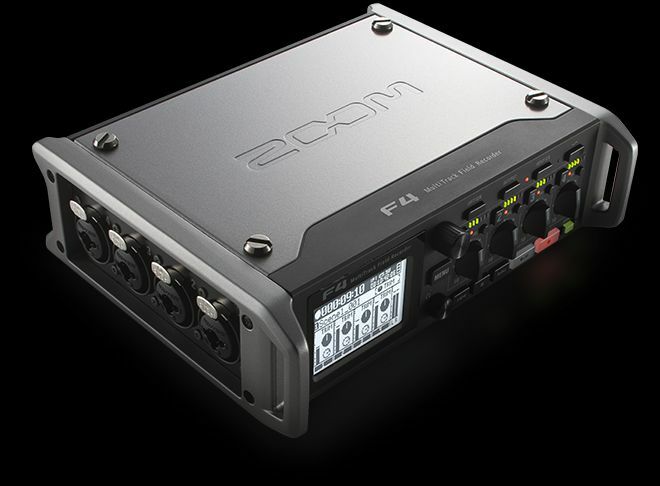 I love my F4, I do however have a request for Zoom, after switching to it from my Tascam DR710D, which doesn’t sound as good but has an HDMI-in: please give us an inexpendive HDMI to Time Code converter, or even better, a firmware update that can use the BNC inputs to read time code off SD-HDI (is this even possible?). I know I can send TC to an analog track on the camcorder, but everything has HDMI or HD-SDI output and using that or camera-to-recorder sync and transport control simplifies things and saves time. There doesn’t seem to be any product at all on the market which does an HDMI TC to BNC TC conversion, or even a video feed over SDI to BNC TC conversion. But yes, it would be handy to have a little matchbox sized device which could strip out the timecode data to then only purely feed that to your recorder. However I fear this is a far to niche market, and we’ll never see such a product ever developed. Most people are much better off just putting a timecode box (especially as they’re so dirt cheap now!) on the camera itself. It’s definitely a design flaw from Zoom. I have to crank up the headphone volume to get a decent listening level based on experience, while keeping a good s/n ratio at the preamps. The Zoom F4 headphone output impedance is @ 15 Ωohms or less. Sound devices 633 is at 100 Ωohms. This means your 64 Ω ohms sonyMDR-7506 or sennheiser 280HDPRO headphones are not adaquately powered by the Zoom F4. I highly doubt this will be a firmware fix. A hardware upgrade or a much powerful headphone amp. What position do you have your headphone dial on your F8/F4? Mine is usually near the 12 o’clock mark, and at that level of gain I by no means find it obnoxious at all. Rather I must crank it much higher than that before I feel this.